Pro Audio Services, Mixing-Online.co.uk. 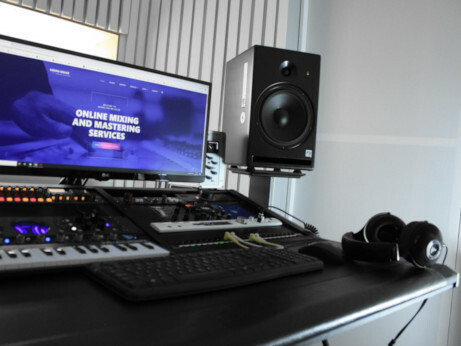 Your music deserves professional mixing & mastering, like all the top chart hits. Don't spoil a great production! Creating pro quality, radio ready mixes. Transforming your guide music tracks into that perfect final master. 15% DISCOUNT for new clients! With all the sonic's, balance and touch you'd hoped for. With costs that are fair and affordable. Free Mixing or Mastering for new clients! I want you to try my trusted audio services without any obligation. Get mixed and mastered today! Hi-end online mixing and mastering services. Radio ready mixes for your music. You have a top-notch production. I have the skill-set, pro studio, and analogue gear (Neve, API, Manley, Prism) to deliver that commercial major label sound for your music. 15 year's experience, credits include Grammy Award Winning Producer Greg Lawson and the Bullets production team who I'm currently mixing for. I pride myself in great customer satisfaction with upfront and ongoing communication. Get in touch today, lets discuss your new project. Get more Spotify streams, YouTube video plays, and iTunes downloads! What is mixing, and why is it so important? Achieving that perfect balance is key for all songs, and essential if you require a loud punchy master. An unbalanced mix will eat up headroom and negatively affect the final limiting/mastering process. Balancing will change and evolve during the mixing stage as I enhance different key sounds. Balancing involves corrective clever equalization. All sounds need their own space in the mix. Compression plays a huge part too along with creating depth and width. I want to create a 3D soundscape, so pushing sounds back in the mix, leaving sounds upfront and panning sounds left or right. Smart use of reverb and delays comes in here. In today's modern mixing we also use a lot of harmonic exciters and even distortion to enhance sounds. Finally, I must mention automation. Automate anything and everything is my motto. Keep the listener engaged, automating levels of kick, bass, vocals, equalization, compression, and effects all play a vital role. What kind of quality can I achieve? How's this for super smooth lush vocals, with an awesome balanced production, enjoy! 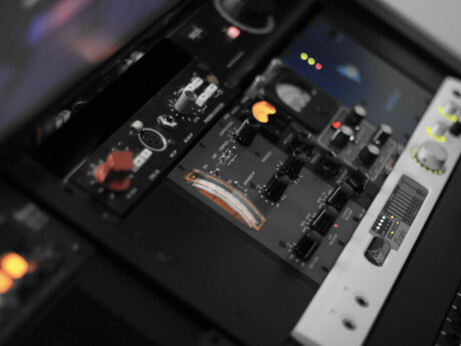 This service includes analogue processing throughout the mix and mastering stage, so your stems are run through amazing external analogue gear. This makes my service great value for money indeed, as I'm not just engineering in the box. I have the Neve 8816 mixer, Manley Nu-mu comp, SSL G-bus comp, AML 54F50 neve clone, Anamod AM660, Retro Doublewide vari-mu and the API 5500 stereo EQ. High-end gear makes a real difference to improve sound quality, that's why we see this equipment in all the big studios. After a great production, song mixing is the next most important task. Don't underestimate this critical part of the process. With an unbiased view and fresh ears, a pro mix engineer will use their skill set to produce that killer mixdown. Get all the sonic definition, touch and mix balance you'd hoped for. Professional mixing is key when sending music to record labels or releasing independently. Discounts - 15% for new clients - Try before you buy, send over your project for a free preview mix and master. 100% happy with your final mix down? If yes, you're ready for mastering. Mastering is the final part in the record making process. I can address any imbalances in eq or compression you might have not heard. Eq sweetening, a number of special tricks, plus I will match the final volume of your track with relevant commercial releases! Thinking of using instant mastering service? Please don't! This will be an automated two second process. Your music deserves a real human to finesse and expertly master your track. A halfway house between mixing and mastering is stem mastering. Instead of mixing down to a stereo track, bounce down the main elements into STEMS. For instance, the vocal group stem, drums group, bass group, guitars group and maybe keyboards. I now have separate stems to help create an even better final master. With all my audio services (mixing and mastering) all tracks are run through hi-end analogue gear which produces an extra warmth and vibe to digital tracks. Specialising in mix and mastering music genre's - POP, R & B, HIPHOP, EDM, ROCK POP, Indie and acoustic. For every audio track in a mix or a stereo mix down for mastering the utmost attention to detail and effort is spent trying to get the best possible sound in the right context for the song. 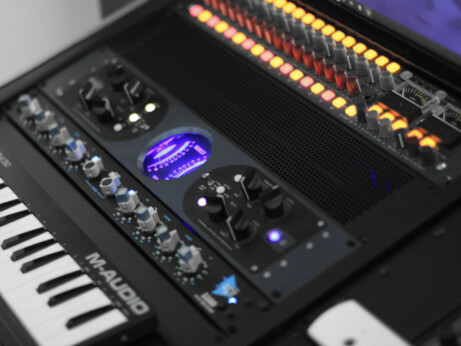 Much experience, an acoustically treated mix room, high-end analog equipment and the very best industry standard software money can buy, will help me produce that killer sound for your music, songs or album. Listen to the audio examples to get an idea how a professional mix engineer will make your music sound the best it can. Get a polished mix with clarity, depth and width. Your vocals will sit correctly in the mix and shine. Don't spoil an excellent production with a poor mix. Struggling with a flat mix, poor separation, or lack of clarity. These issues can come from mixing entirely in the box, poor room acoustics, or low mixing time experience! Don't get frustrated it took many years for most to become a competent engineer. Your music deserves professional mixing, like all the top hits. For potential new clients I offer a free preview mix or master for you to evaluate at your own studio before any purchase. Please contact me to arrange. Enhance, repair, clean up any audio. Edit podcasts / video audio. Not happy with a piece of important audio - get in touch. Aprising artists who need quality, bespoke, top class productions! I produce pop, hiphop, and edm with a feel-good vibe. Top-class mix evaluation for your production. Perfect capture once analogue processing is applied. You can hear any issues so easily with these speakers. Extra analog gloss and separation for ITB mixes. Wow, amazing analog mastering compressor. Ultimate headphones to backup my monitors.